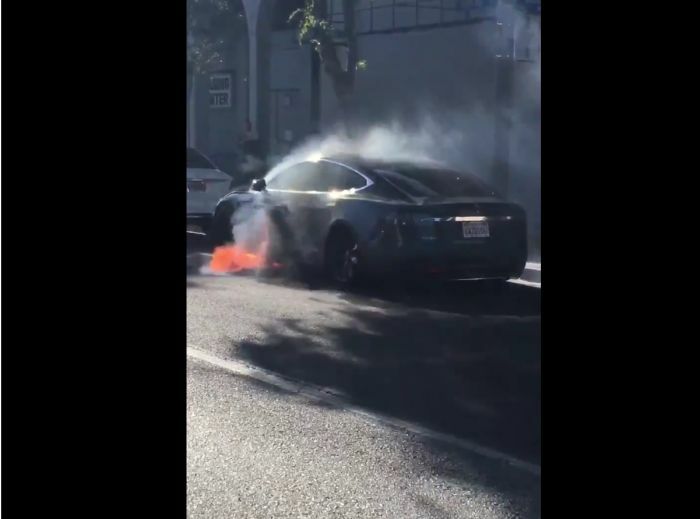 This weekend an actor named Mary McCormack tweeted an image of a burning Tesla Model S. The vehicle was not in an accident. It simply caught fire. Her husband was in the vehicle and she tweeted a video of the car on fire and some commentary you can see below. We are not reporting today that a Tesla was seen burning again, or that a Tesla has yet again found another way to find itself on the news for safety reasons. What we find interesting and have done just a smidge of research on, is that her tweet was the most popular by far of her recent tweets. As of this morning, the tweet had received about 6,000 likes, about 3,000 retweets and had earned about 1,200 comments. Celebrities are all about publicity and a popular tweet is never a bad thing. When we first viewed the tweet we found it interesting, but not for the reason that most of the commenters are discussing. What we find interesting is that commenters are discussing it. Let's compare this tweet by the actor to some other tweets she recently made and look at the responses. To keep things simple, we added the retweets, likes, and comments up. They add up to about 10,200 interactions in just a few days. Here are some interaction counts for tweets by the actor from prior to that. - A gofundme request tweet about her friend's son who has a terrible medical condition: 68 interactions. - A tweet about the NRA and the Second Amendment - 203 interactions. We did not count tweets that the actor retweeted or interacted with. Just the ones she herself posted. Our conclusion from looking at the tweets and the responses this actor received is that a burning Tesla is more "newsworthy" than the topics of childhood disease, the Second Amendment, voting, veteran suicide, missing migrant children, and Marine families combined. The second most newsworthy topic is jewelry.